Quick overview A short guide to the six theories that try to explain the wild world of the quantum. All of this was clear by the end of the 1920s. But to the great distress of many physicists, let alone ordinary mortals, nobody has ever been able to come up with a common sense explanation of what is going on. Physicists have sought `quanta of solace' in a variety of more or less convincing interpretations. 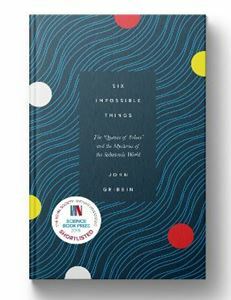 Popular science master John Gribbin takes us on a delightfully mind-bending tour through the `big six', from the Copenhagen interpretation via the pilot wave and many worlds approaches.